Pulp mango, yoghurt and maple syrup together in a blender. 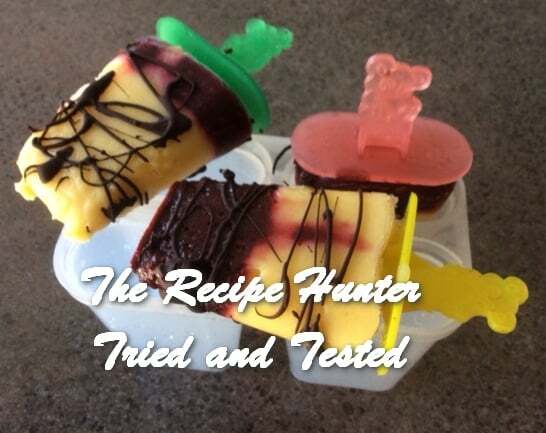 Spoon mango mixture in popsicle holder. Top with some berry pulp and freeze. I left it overnight. You can also have berries at the bottom and mango at the top, or mix them in layers. Melt 1 or 2 blocks of quality chocolate of your choice in the microwave at 30 second intervals, and stir till completely melted. Release each popsicle and place on parchment paper.